Now that production of NBC’s pilot for a CONSTANTINE series is well under way, it’s probably no surprise that journalists, podcasters and even bloggers are looking to interview the comic book characters creators. Not surprising — but it is a bit problematical. 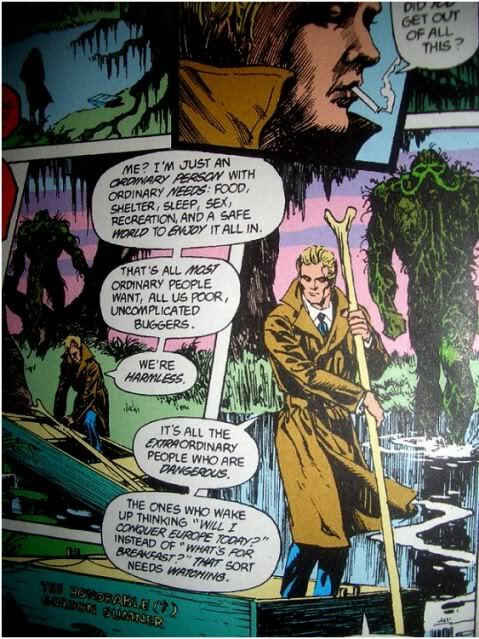 See, John Constantine was created in the Saga of the Swamp Thing comic book by artist Stephen Bissette and… uh, a writer who doesn’t like to talk about DC Comics anymore, the man/legend/myth called Alan Moore. Now, as anyone who knows anything about comics knows, Moore would rather have his brain extracted with a rusty fishhook via a hole in his big toe than talk about/publicize DC Comics. He has distanced himself from all his work and refuses to accept a penny from ancillary sales like movies and TV. That leaves only Mr. Bissette available via social media. So he posted on his Facebook, asking DC what, if anything, they would like him to say about Constantine and how the character came to be. Well, you can read it for yourself after the jump. 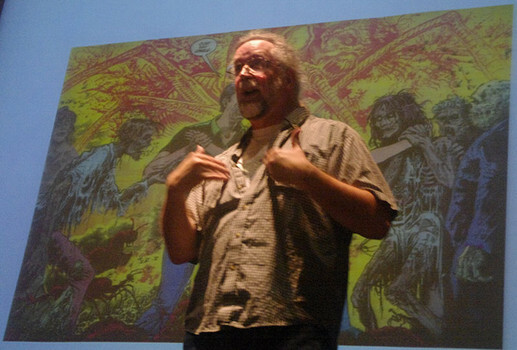 This entry was posted in Comic Books, Horror, Prime-time TV, Supernatural and tagged Alan Moore, Constantine, DC Comics, DC Comics TV Shows, John Constantine, Saga of the Swamp Thing, Stephen R. Bissette. Bookmark the permalink.